Recently I started coloring. Yes, that's right. Adult coloring books are all the rage the last few years and I think it's a great way to relax and unwind plus it keeps me occupied and I don't mindlessly stuff my face anymore in front of the TV. Sometimes I use markers and sometimes I choose colored pencils. Sometimes I even mix both. That's the beauty of coloring - you can do whatever you want. 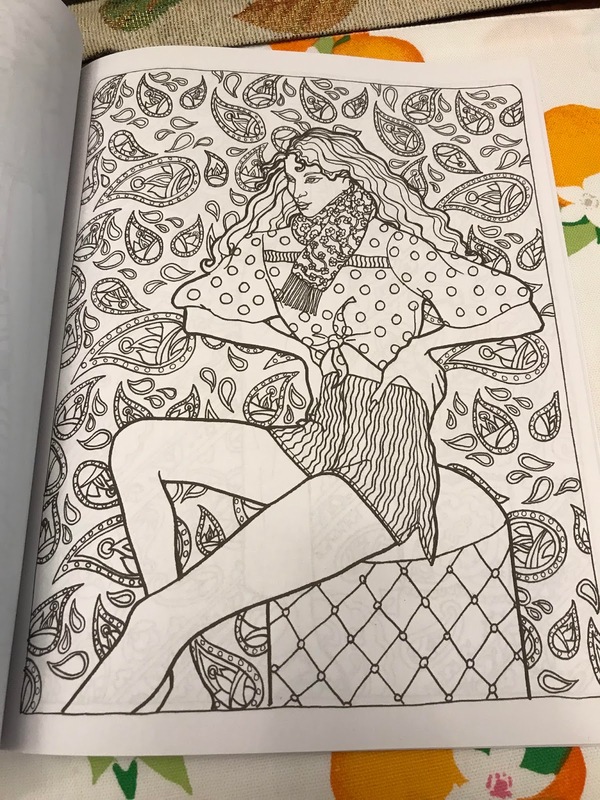 And who would have thought that you could combine a love of fashion AND coloring until now! 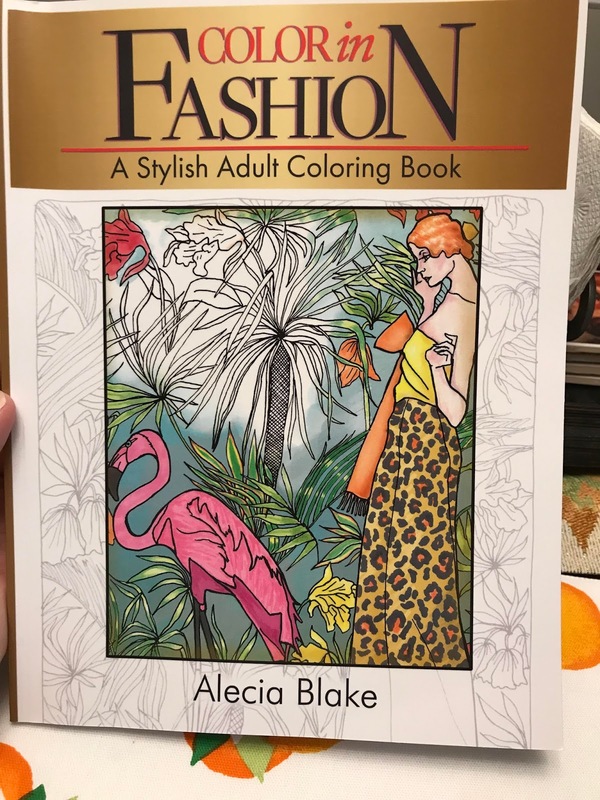 I recently got Color in Fashion from Alecia Blake Studios. 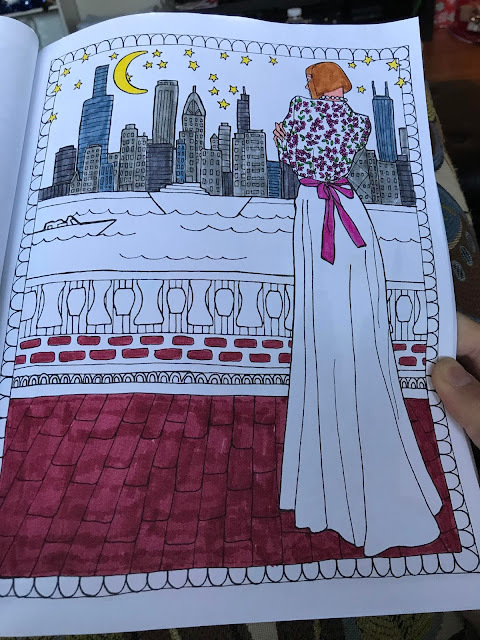 It's available on Amazon and man does it have some beautiful pictures to color! Alecia Blake is an amazing illustrator whose work includes fashion art, children's books, and whimsical and humorous cartoons. I love her style!! What a genius idea to offer a coloring book! Here's some of my work. I used Crayola markers for now since I don't have the money to get anything fancies. Still, I'm pretty satisfied with how it all turned out. I love coloring people when I'm really in the mood to get creative. And getting to color an outfit is even better. This is my favorite page in the whole book and I love how it turned out! This is a work in progress but I love the details in the blouse on this person! This one isn't colored yet but I wanted you to see what some of the options are throughout Alecia's book. 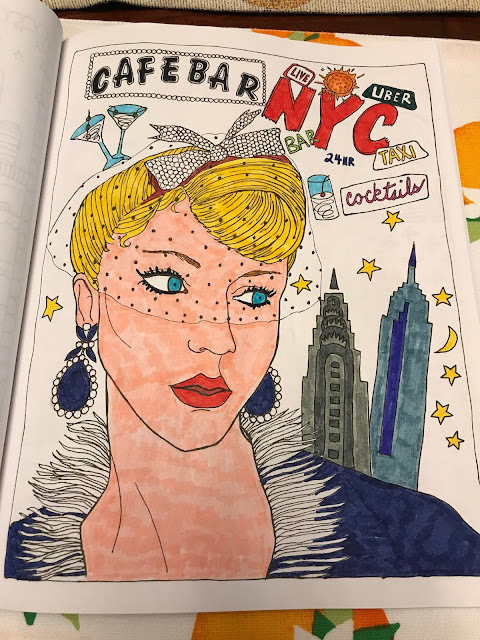 I love all the detail and if you feel overwhelmed you can leave some of it unfinished or even leave some of it white so that there's less for you to have to color. The mix of style and patterns is just so impressive. And the illustrations are very creative and fun! This was another favorite. 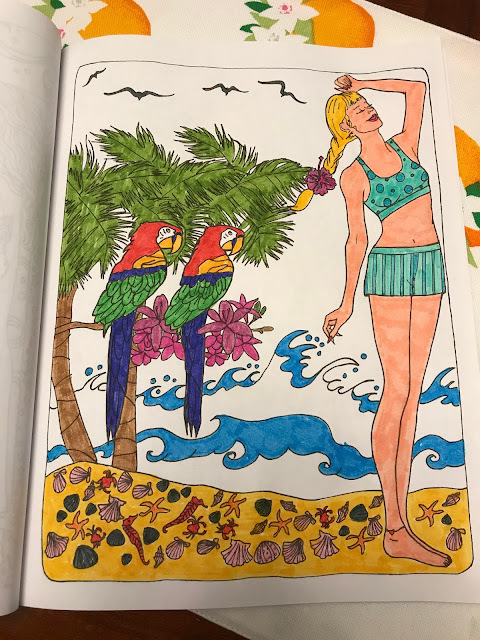 I love the adorable bathing suit but also love the mixture of animals and seashells! See how I left the ocean white AND blue? That way I don't have to color in a large area but you still see what it is. 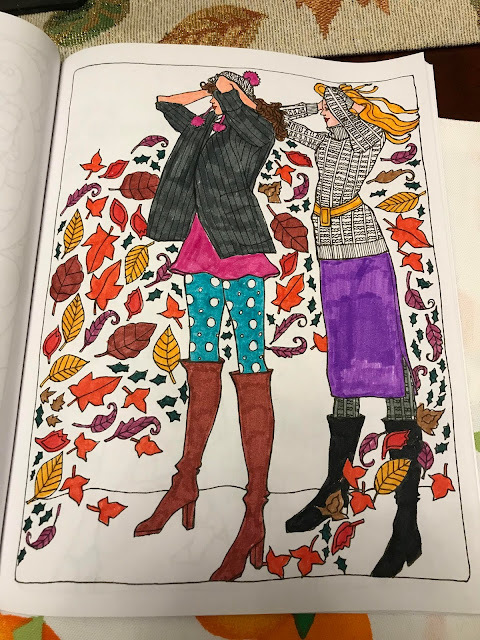 I loved this page because I love Fall and the fashion during this time of year so it was perfect for me to color. It's actually the first one I did. 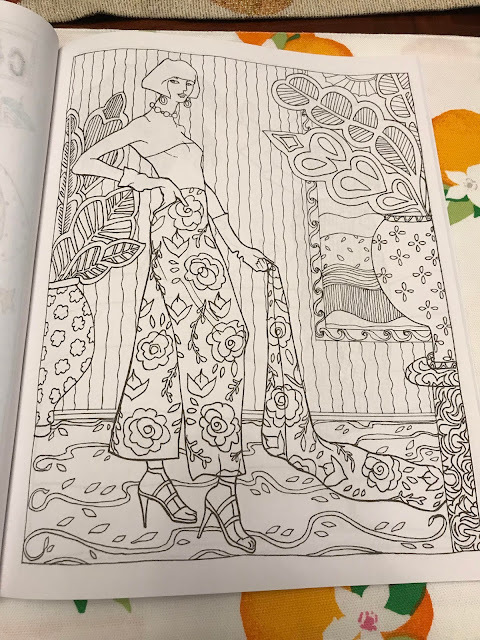 Seriously this is my favorite type of coloring book because I feel like a fashion designed selecting colors for my clothing line. I love being creative with that type of stuff and it actually gives me inspiration for my own wardrobe and what to pair with a certain style or color. This is one of my favorite coloring books ever and I'm so excited to show off more colored pages with you guys! And today, I've teamed up with Alecia to host a giveaway for one of you to win the Color in Fashion coloring book! Good luck! I know right. It's so awesome!! This is def one of my fav coloring books ever! I've tried coloring and got a little frustrated as the pencils I used weren't that great. I love what you did with the fall page here, stunning. I get super frustrated too ! I have to use markers anymore.